We have released a new range of blended Scotch malt whiskies named the Wemyss Family Collection which have been carefully and expertly produced from the family’s own private collection of maturing whisky casks. The Wemyss Family have been sourcing new make spirit from the plethora of Scottish single malt distilleries, each selected for their distinct and flavourful new make spirit distillate. Finding and procuring quality oak casks guaranteed to provide outstanding mature spirit. Working alongside industry leaders to ensure the private stock of casks are only chosen and blended after passing the scrutiny of industry experts such as Charles Maclean. Expertly Blended to Represent a Singular Style of Whisky. Each yearly release will represent a particular flavour of whisky; be it regional, malted barley style or cask type. 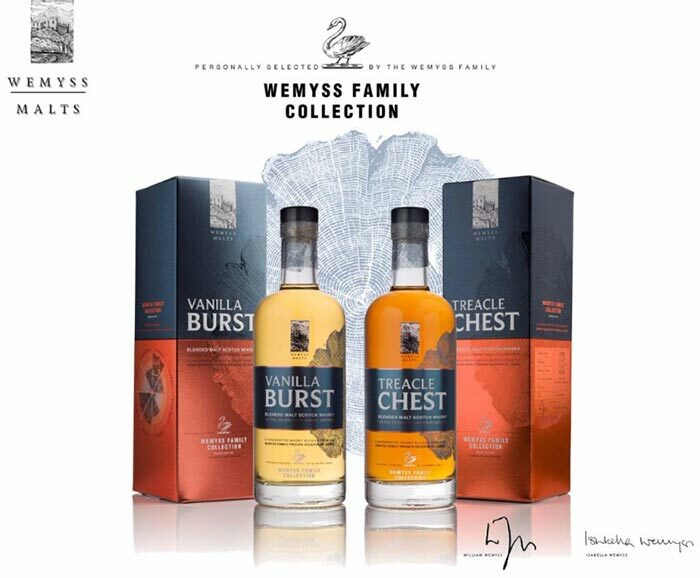 VANILLA BURST is the first release of the Wemyss Family Collection range and is a blend of only 2 Speyside single malts with a light and fruity character that were chosen to mature in 15 1st-fill Ex-bourbon barrels. The 4800 bottles of Vanilla Burst perfectly demonstrate an intense 1st fill bourbon wood influence on a light and sweet Speyside malt Scotch whisky. TREACLE CHEST, the second release of the Wemyss Family Collection is a blend of only 2 Highland single malts with a sweet, cereal character that has been matured in 14 1st-fill ex-sherry hogsheads. The 6300 bottles of Treacle Chest are a perfect example of rich and weighty 1st fill ex-sherry casks influence unpeated Highland Scotch malt whisky. Looking to buy The Wemyss Family Collection? 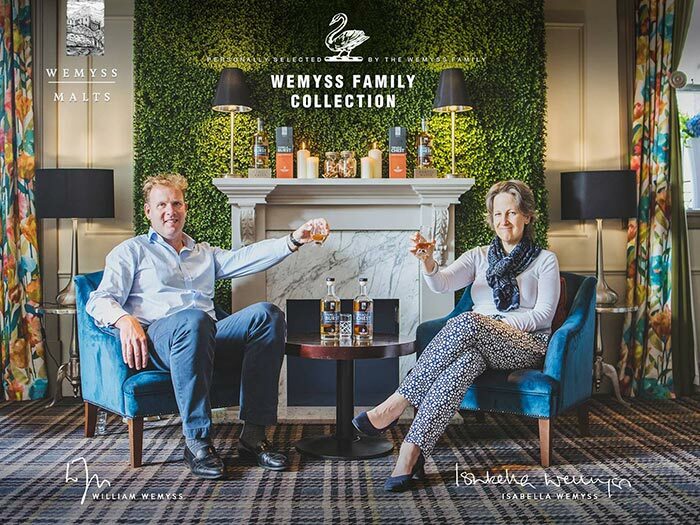 The Wemyss Family Collection will become available with independent retailers from mid August, so please ask your local specialist retailer. See Master of Malt.